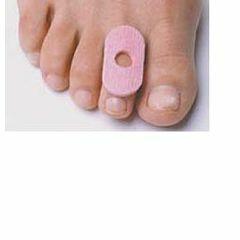 Stein's Felt Corn Pads 1/8"
The Stein's Felt Corn Pads reduces pain associated with corns and hammertoes. It is long-lasting and has superior protection compared to foam and the strong adhesive holds pad securely in place. Allegro ID: 561267 How many corn pads for $15.71? How many corn pads do u get for $4.03??? I cannot find an amount anywhere on this page, can they be $4.03 each??? ?